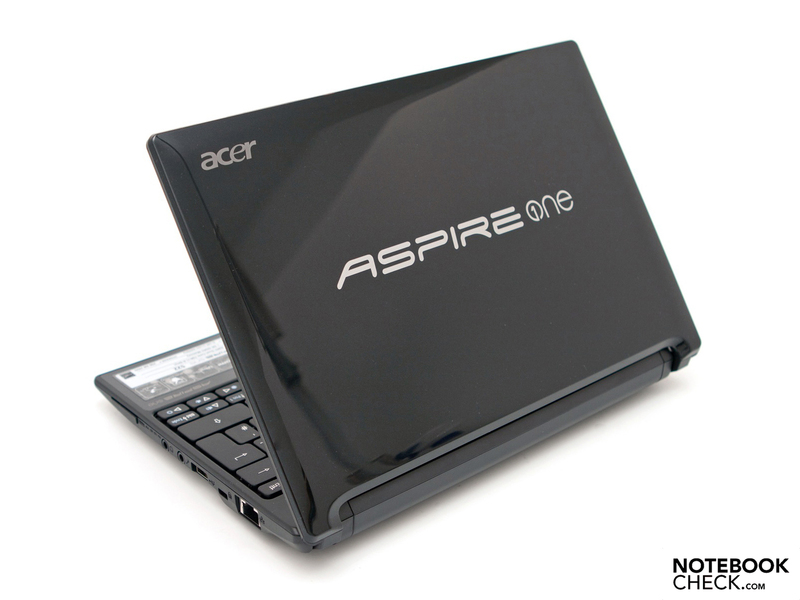 The entire netbook range from the Taiwanese manufacturer, Acer, is called Aspire One. Both devices based on Intel's Atom as well as AMD processors can be found here. The new Acer Aspire One 522 comes along with an AMD C-50 dual core APU (accelerated processor unit), which has a clock rate of 1 GHz in two cores. At the same time, it contains the AMD Radeon HD 6250 graphics unit. 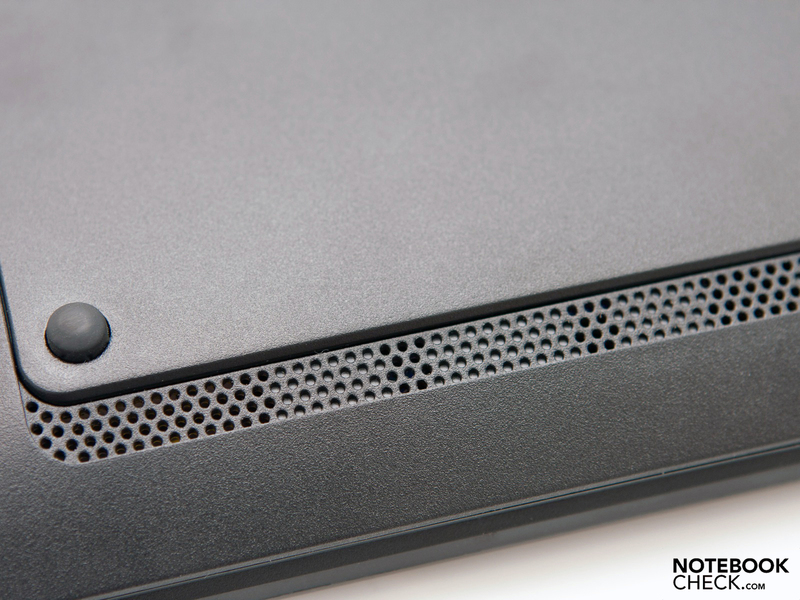 The chassis hasn't changed in comparison to its immediate opponent with an Intel Atom N550. 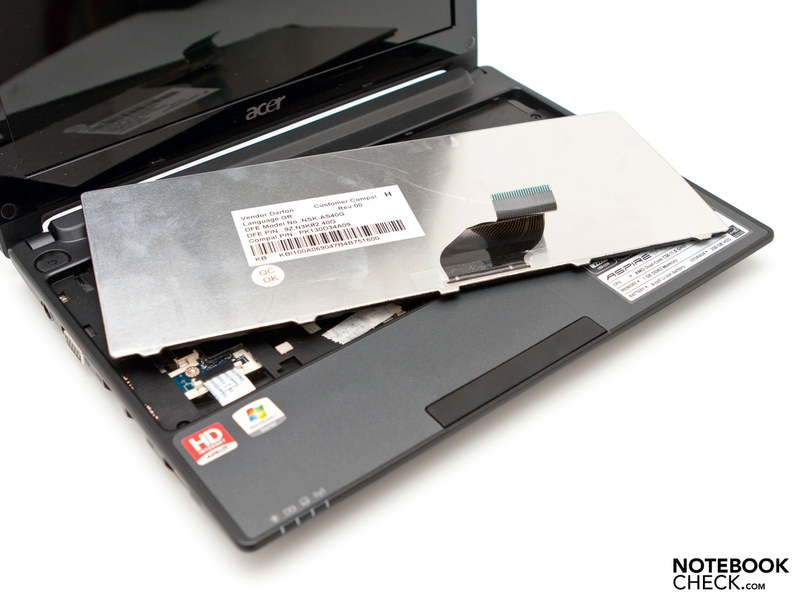 Even the black finish from the Acer Aspire One D255 has been maintained. Apart from the new components, the other equipment has hardly changed and the key data only differs marginally. Examples would be the HD display (glare type) with a native resolution of 1280x720 pixels, an HDMI out and a multi-in-1 cardreader, which can also manage additional memory formats besides the standard SD and MMC. 250 GB of hard disk memory, a 1 GB RAM and WLAN standard 802.11 b/g/n haven't been altered and comply with the common standards. The recommended price of 299 euros, including value added tax, corresponds to the Intel counterpart. In view of the more HD capable hardware and the display's higher resolution, it appears to be a real alternative. A successful series update, or just another product? 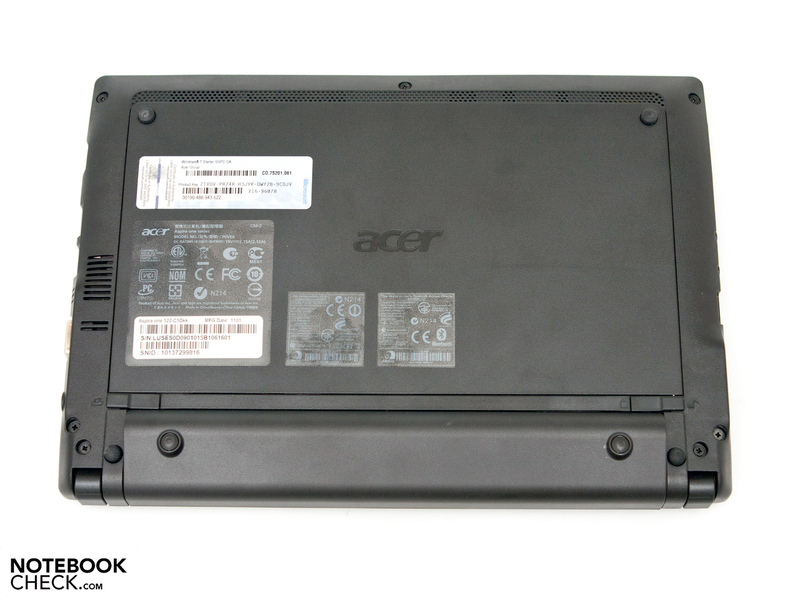 Acer hasn't modified the design and is also found in the Acer Aspire One D255 and Aspire One 533. The case is made of plastic which makes a good impression. Moreover, the surfaces' workmanship and coating are acceptable. The available color alternatives are restricted to a completely black model. The interior shows a mix of matt and high-gloss surfaces (display bezel). 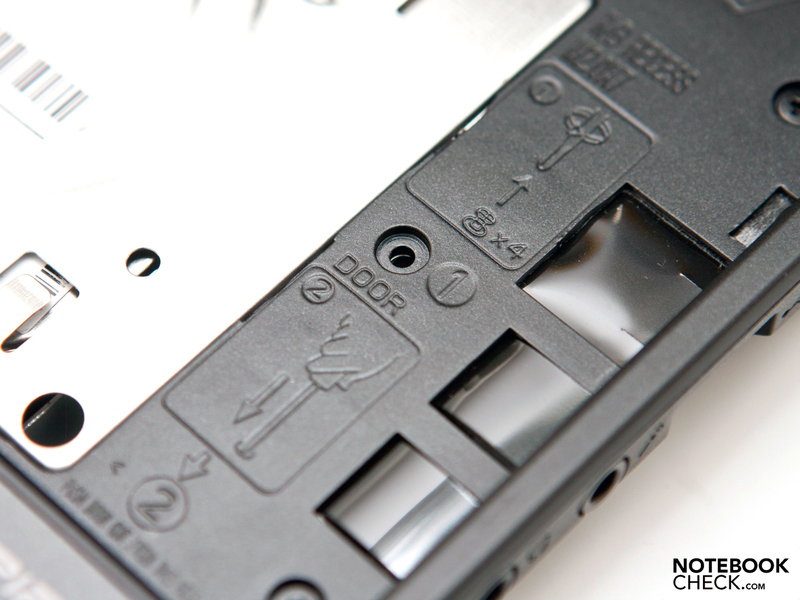 The black high-gloss display lid has been pepped up with small "flakes" that create a subtle glitter effect. The flipside of the coin: The glossy surfaces magically attract fingerprints, dust, and scratches. Despite the fairly thin build, the case bids a good, yet not outstanding, stability. A good amount of force is needed to generate an evident yielding on the surface. The wrist-rest proves to be the weak point since it yields considerably depending on the force. A "snap" is emitted relating to how the device is held and on the applied pressure. The small display hinges provide a good grip. There is a visible teetering and opening the lid is only possible with both hands due to the low total weight. The maximum opening angle of 150 degrees has to be mentioned positively. The netbook's bottom is, as usual, closed. Apart from a few stickers, there are no screws for opening the large maintenance cover. Bypassing via disassembling the keyboard is also necessary in this device. Removing it is also the trickiest part since the entire keyboard layout is only inserted and can thus break easily. After this is accomplished, opening the case is illustrated with little pictures and is easy. 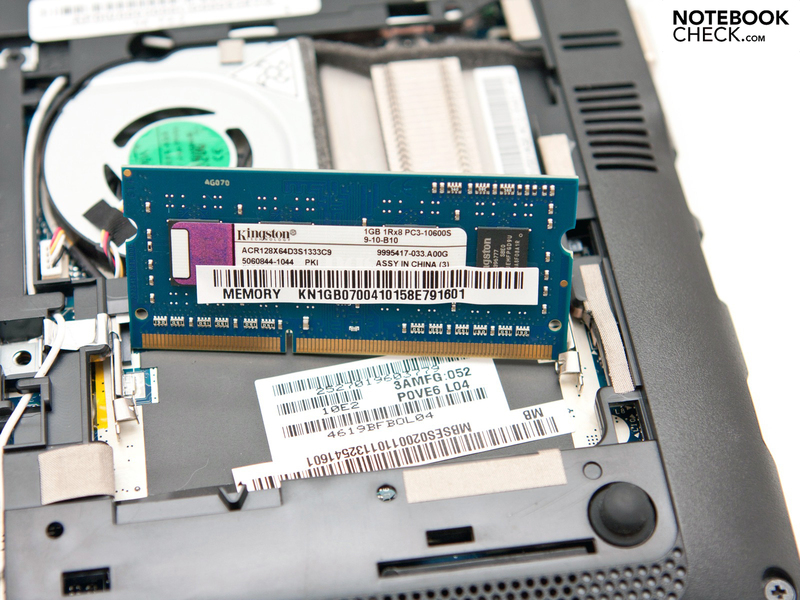 In addition to the DDR3 10600S RAM, the hard disk can also be replaced. The amount of interfaces can only stand out slightly from the usual standard. 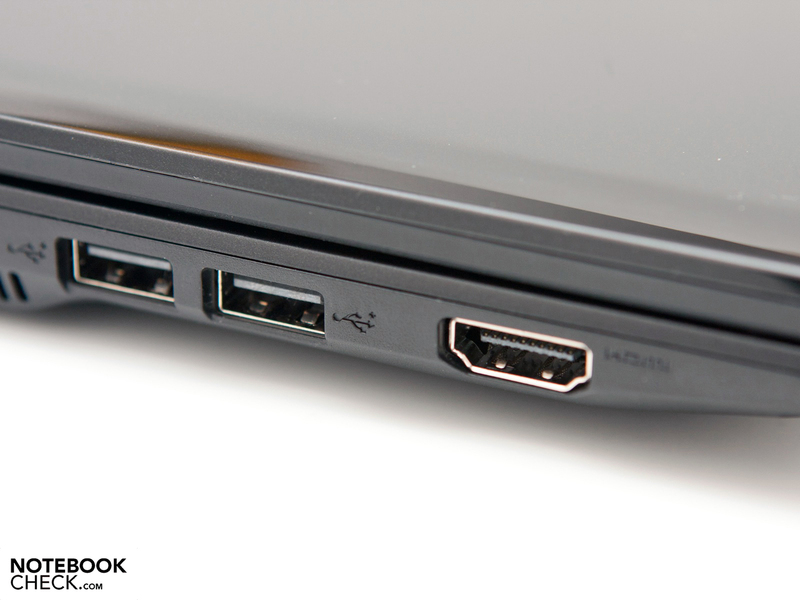 The HDMI out, made possible by AMD's Brazo platform, is an advantage in view of the broad mass of Intel netbooks based on Pine Trail that can't provide it. Another highlight in this sector is the multi-in-1 cardreader, which can read and write xD, MS, and MS Pro memory cards in addition to SD and MMC. Moreover, there are three USB 2.0 ports, an analog video out (VGA), an RJ45 network socket, a Kensington Lock slot and the audio sockets (headphone out / microphone in) on the netbook's sides. The webcam placed above the display only has a resolution of 640x480 pixels – so it is only sufficient for simple conversations via Skype. The quality is located in the rating field "satisfactory". The interface distribution hasn't changed in comparison to the Intel counterpart, Acer Acer Aspire One D255, and is impressive. The given circumference is complemented by the HDMI out and cardreader, but a USB 3.0 port in this price range would have made the device outstanding. Acer hasn't added any communication options and continues to offer WLAN standard 802.11 b/g/n (Atheros AR5B95) and a somewhat older fast Ethernet controller (10/100 Mbit/s). Even the latest and fastest Bluetooth standard, 3.0+HS (24 Mbit/s maximum) is still onboard. The first mobile devices already support this standard. Acer doesn't include fast gigabit Ethernet (1000 Mbit/s) and a 3G module, or the necessary corresponding antenna preparations. 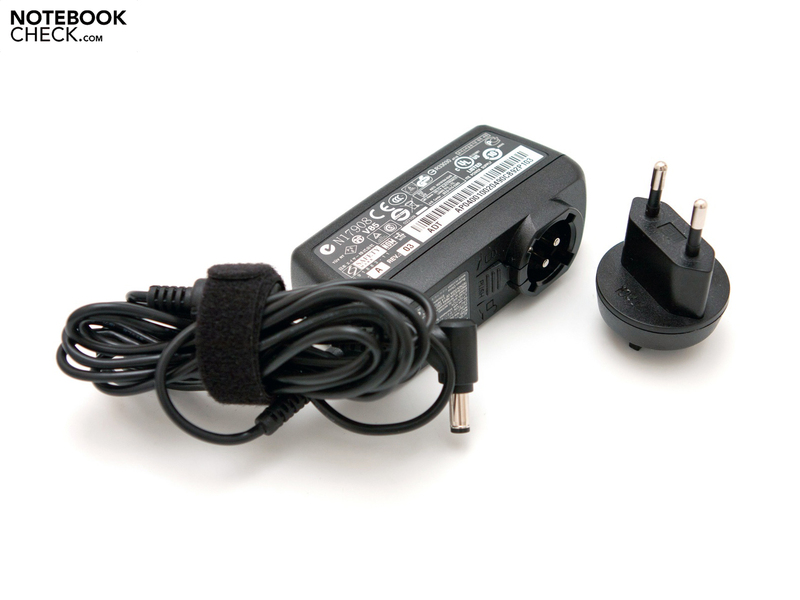 Beside the netbook, a 6 cell battery with 49 watt hours, a few manuals and the matching adapter is found in the box. 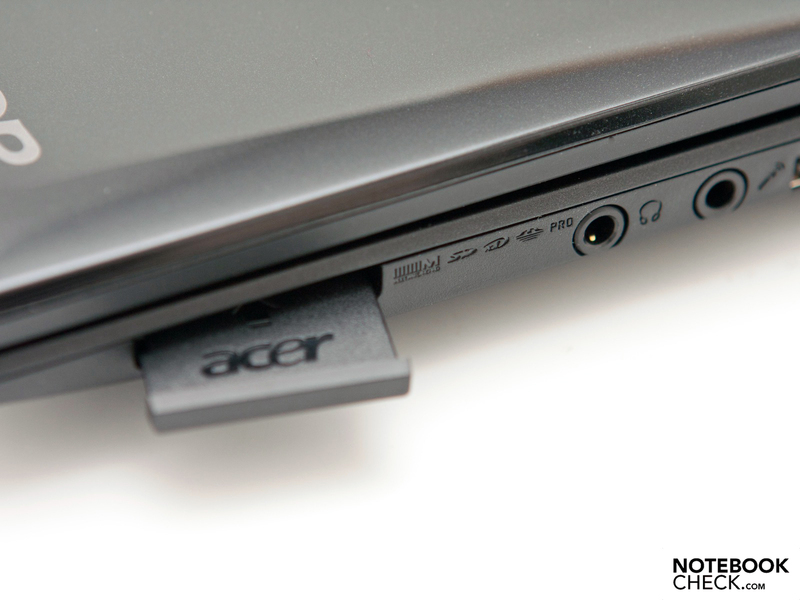 The Acer-typical plug system makes a good impression since it not only saves room, but also allows fast changing. Other adapter pieces are however only optionally available and not included. Furthermore, there aren't any driver or recovery DVDs supplied since they can be attained over the internet, respectively can be found directly on the hard disk. In terms of software, Acer relies on the Microsoft Windows 7 Starter (32 bit) operating system, which offers basic functions. In addition to the OS, there are numerous freeware programs, such as Skype, Adobe Reader and Microsoft Office 2010 Starter Edition. The usual test version of a virus scanner is preinstalled as McAfee Internet Security Suite, just as well as bloatware. You should discriminate which programs are really needed and remove needless ones where necessary. Acer grants a 12 month warranty, including International Travelers Warranty (ITW) ex-factory. This warranty can optionally be extended to 24 or 36 month. These upgrades cost between 45 and 89 euros (RRP) in the Acer Store, which seems reasonable in view of the device's price. The statuary warranty of 24 months in the European Union (EU) has to be clearly distinguished. 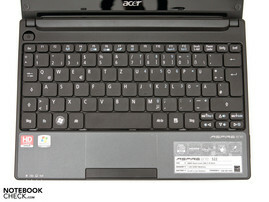 Acer remains loyal to its FineTip keyboard and hasn't modified it. The short key drop has been maintained and, in comparison to the Aspire One D255, the fairly pleasant pressure point is now convincing. 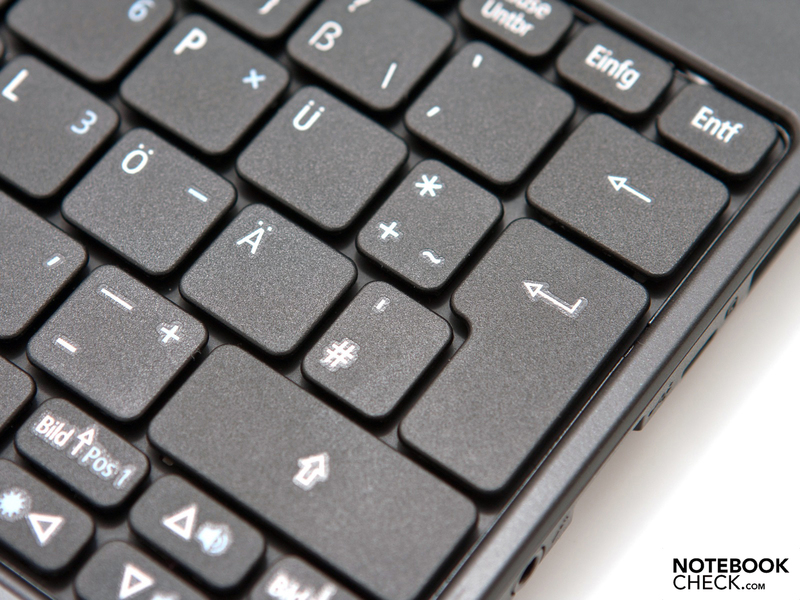 Touch or ten-finger system typists won't have any difficulties due to the clear marks on the "F" and "J" keys. 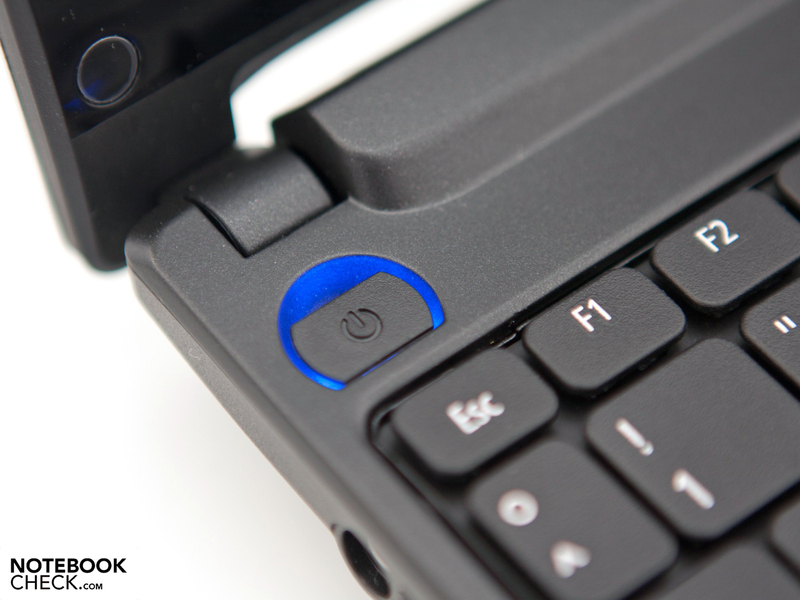 The arrow keys remain tiny and persons with larger fingers should use them with a lot of sensitivity. A literally minor reason for complaint is and remains to be the narrow wrist-rest. It hardly offers any room and hands can quickly slide off the front edge. Basically, the typing feel is all right, but the key drop could have been a bit longer. 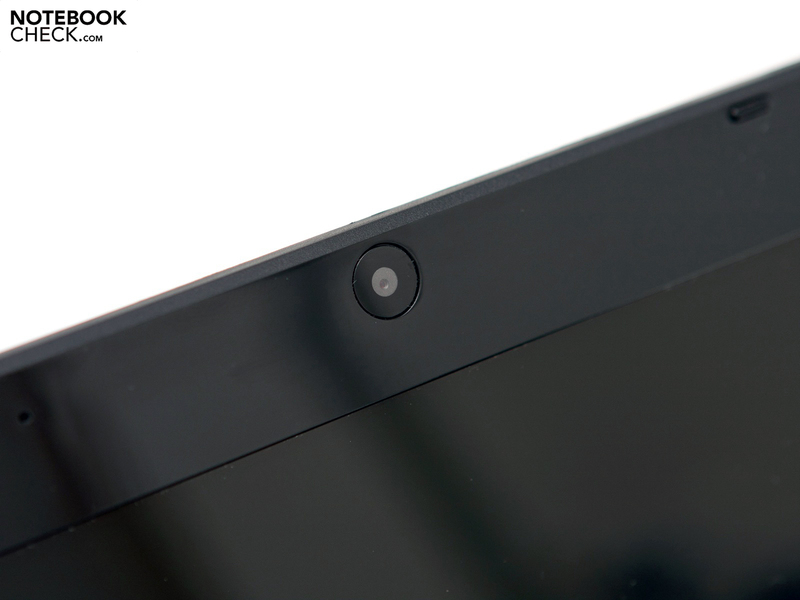 The touchpad still comes from the well-known manufacturer, Synaptics (V7.2). Two subtle lines separate the input device from the wrist-rest, which creates a symmetrical design. The slightly corrugated surface allows an effortless as well as accurate navigating at the same time. Beside contemporary multi-touch gestures, both a horizontal and vertical scroll field is given. However, merely the vertical one has been marked. The large bar above the physical mouse keys has been altered. They now have a knobbed, rubber coated surface. Both the feel and looks are convincing. The keys' pressure point design is clear and fairly stiff. Acer acknowledges the trend and delivers the Aspire One 522, unlike the Aspire One D255, with a 10.1 inch HD screen (diagonal: 25.6 centimeters, WXGA) from Samsung. It bids a native resolution of 1280x720 pixels with a 16:9 aspect ratio. The largest drawback is likely the glossy screen surface (glare type) that doesn't fit into the image of a mobile device. 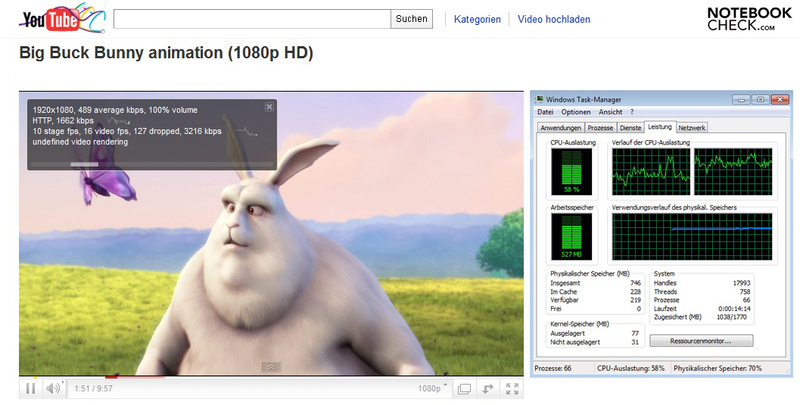 Apart from the native resolutions, there isn't any other, higher resolution levels offered in Windows 7. A native resolution of 1366x768 pixels would have been interesting. A VGA and HDMI out are available for external video transmissions. The image quality makes a good impression at a resolution of 1920x1080 pixels (1080p, FullHD). The LED backlight does a good job and achieves a good 239 cd/m2 as its peak. However, due to relatively intense fluctuations, its average is only 205.6 cd/m2. In addition, the maximum difference of 46 cd/m2 provides a weak illumination of only 75 percent. Fortunately, the brightness deviations aren't obvious and a visible clouding doesn't turn up. 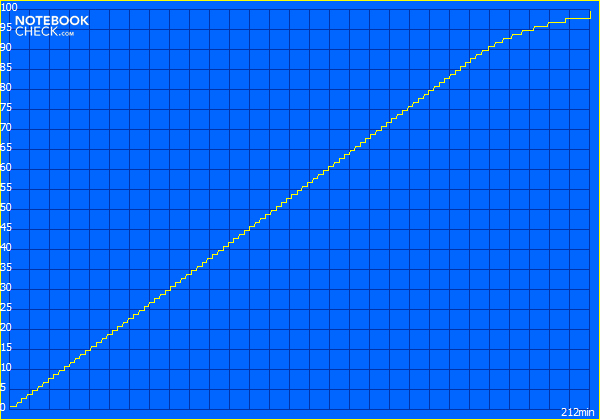 Further measurements of the screen, model LTN101AT01 are also within the broad average. The higher black value of 1.38 cd/m2 makes displayed black look slightly gray and also is cause for a contrast ratio of merely 157:1. A screen should offer as high as possible display brightness and a low as possible black value in the ideal case. This ultimately composes the contrast. 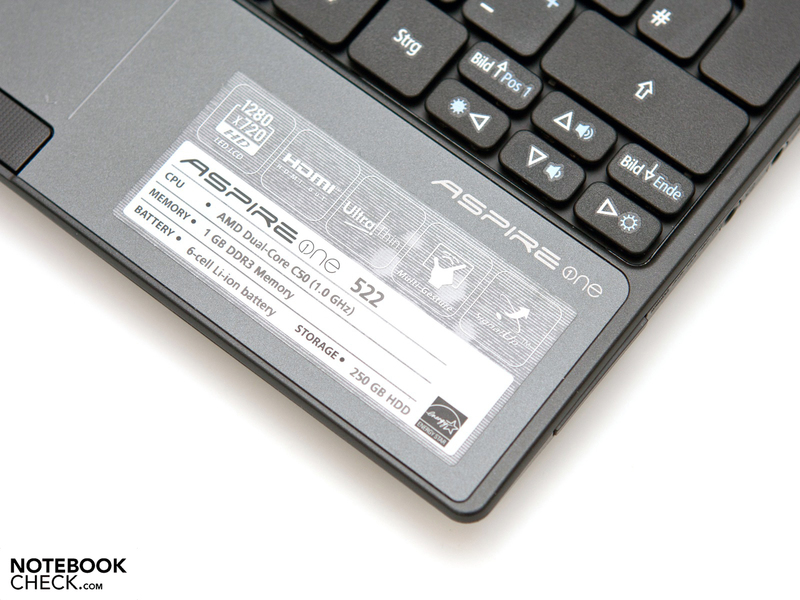 The Aspire One 522 isn't suitable for professional users. 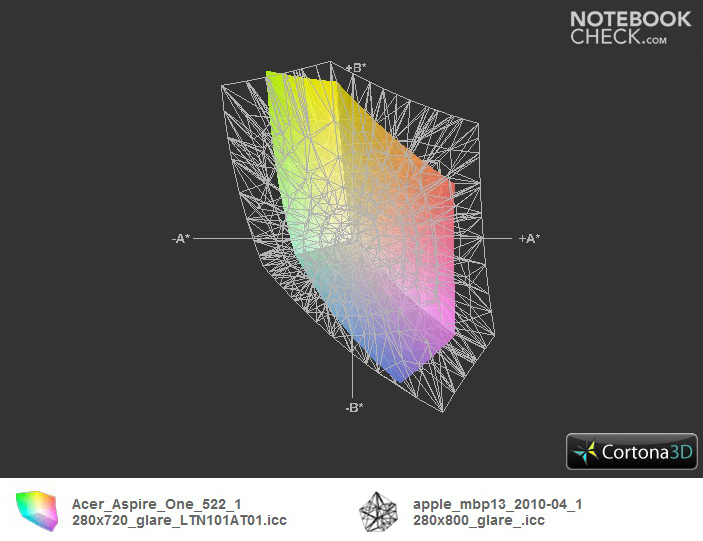 The reproducible color space can be compared via the display's ICC profile. The reference color spectrum, sRGB, which is relevant for many applications isn't reached. The sRGB profile should at least be nearly covered in this test. 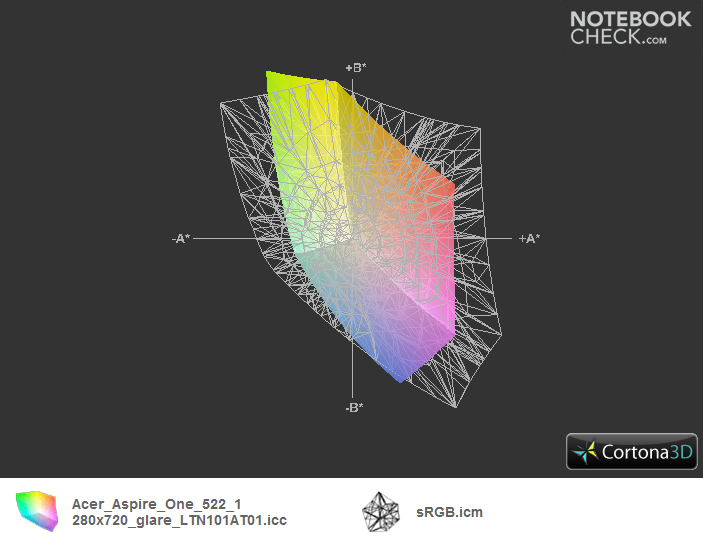 An example of this would be the Apple MacBook Pro 13, as it almost covers the sRGB color spectrum. Outdoor use shouldn't be the Aspire One 522's main field of operation. The brightness can't intercept the surroundings' intense reflections and the low contrast lets the colors bleach quickly. Another drawback is the glossy display bezel that additionally reflects the sun. 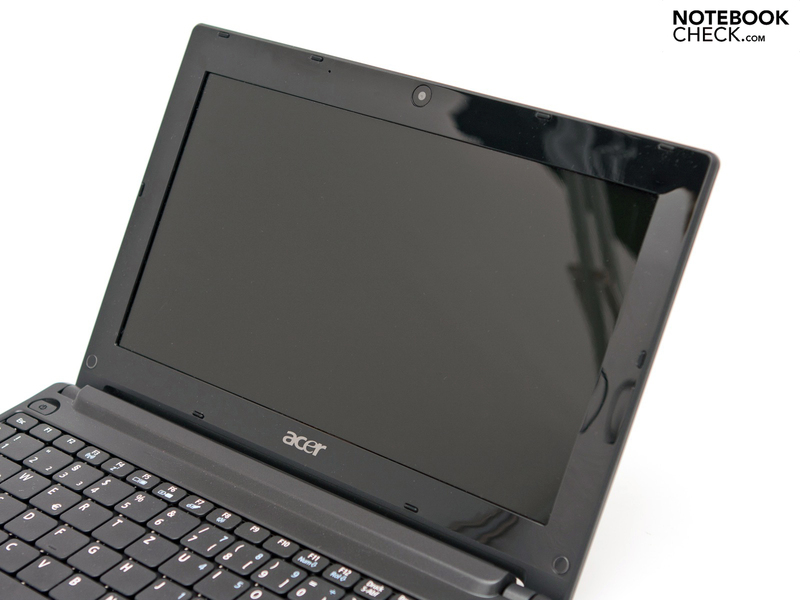 Acer should have taken an example from the Samsung NF310 netbook. Deviations from this device's ideal viewing position should be avoided at all costs. The vertical viewing angle stability isn't flawless and merely a few degrees lead to inverting, respectively glaring of the reference picture. 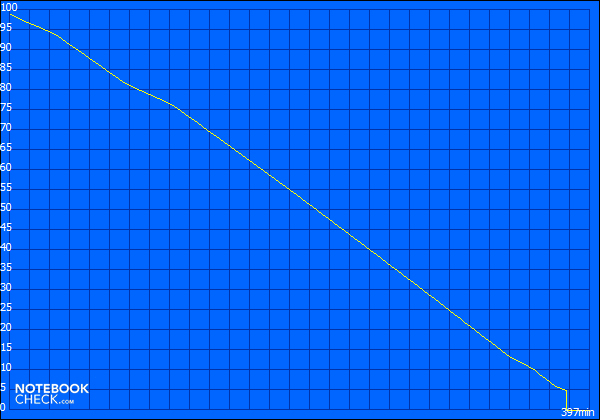 The horizontal angles are a bit more stable, whereas the picture deteriorates in narrow angles (starts at 140 degrees). 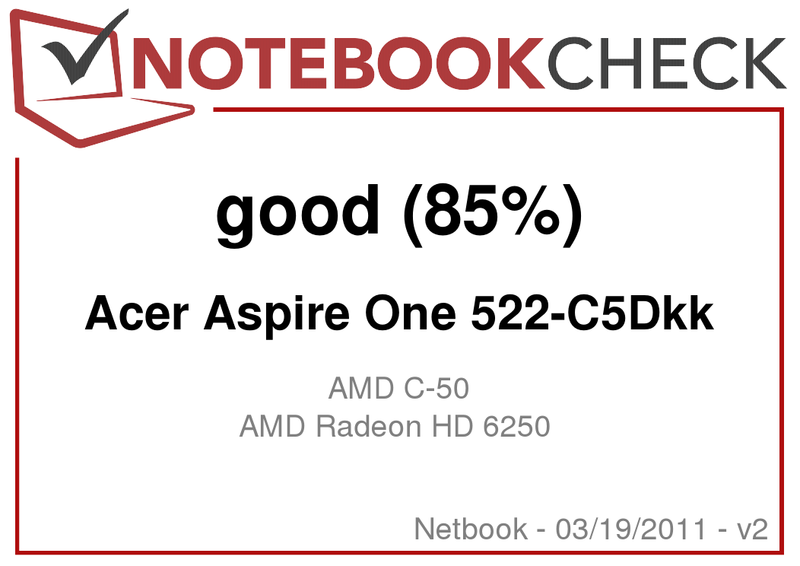 The Aspire One 522 netbook is Acer's first netbook with the new AMD Fusion C-50 dual core Accelerated Processing Unit (APU, codename: Ontario, 2 cores, 2 threads). They bid a clock rate of 1.0 GHz and a 1 MB L2 cache. Consequently, AMD can now offer an alternative to the still dominating Intel Atom CPUs. 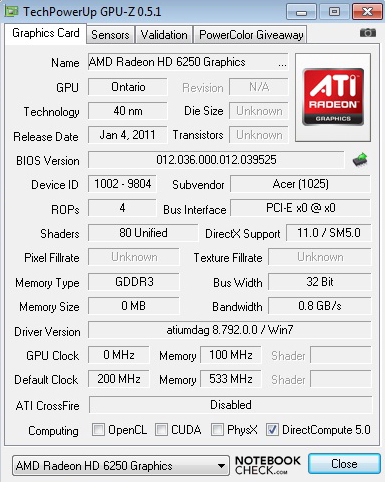 Another feature is the AMD Radeon HD 6250, incorporated into the processor unit, with a core rate of 280 MHz. 80 pipelines, DirectX 11, Shader 5.0 and the UVD3 video decoder advocate the technical advancement, but then again, the lack of a dedicated memory limits the application field (games). Despite the stronger graphics unit, the nominal power loss (TDP) of 9 watts for both the CPU and GPU (APU) is only marginally higher than Intel's current top model, Atom N550 with a GMA 3150 (TDP of 8.5 watt=. We had looked at the new AMD components closely in the review of the Toshiba NB550D with nearly the same hardware configuration. When the difficult way to the case's innards has been mastered, you can tackle upgrading. 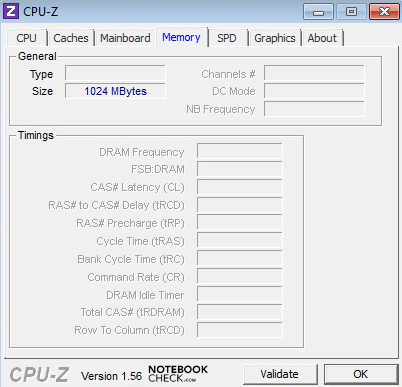 The DDR3 10600S RAM (1066 MHz) is limited to a maximum of 4 GB by one single bank. However the preinstalled Windows 7 Starter cuts the useable capacity to 2 GBs. This restriction subsides as soon as another version is installed. A 4 GB bar from Kingston (KVR1066D3S7/4G) was detected without problems in our test. 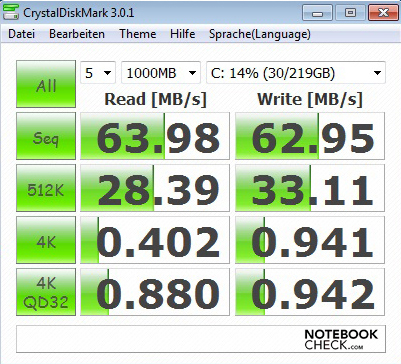 The OCZ3M13334G from OCZ with a maximum of 1333 MHz however didn't work in our test device (screen stayed black). The user doesn't face any limitations, except for the height, for the 2.5 inch hard disk. 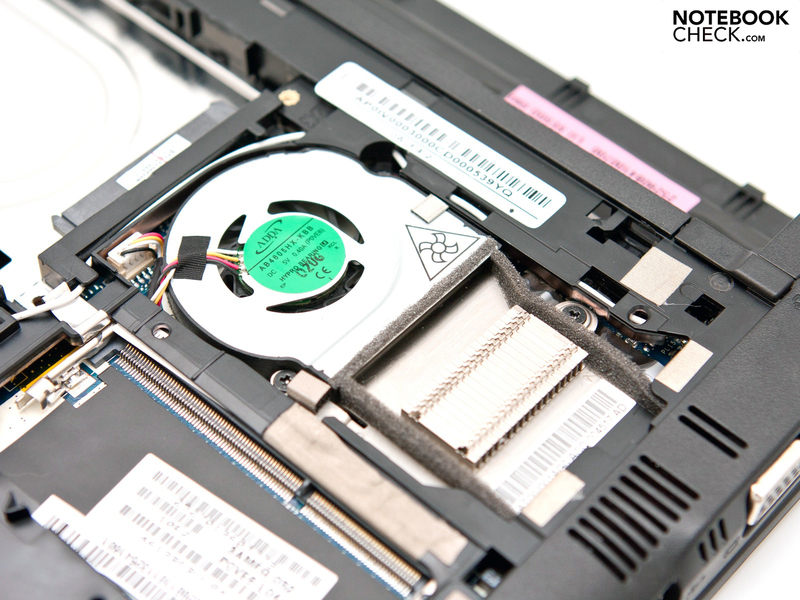 Depending on preference, a hard disk, a hybrid drive or a solid state drive can be built in. 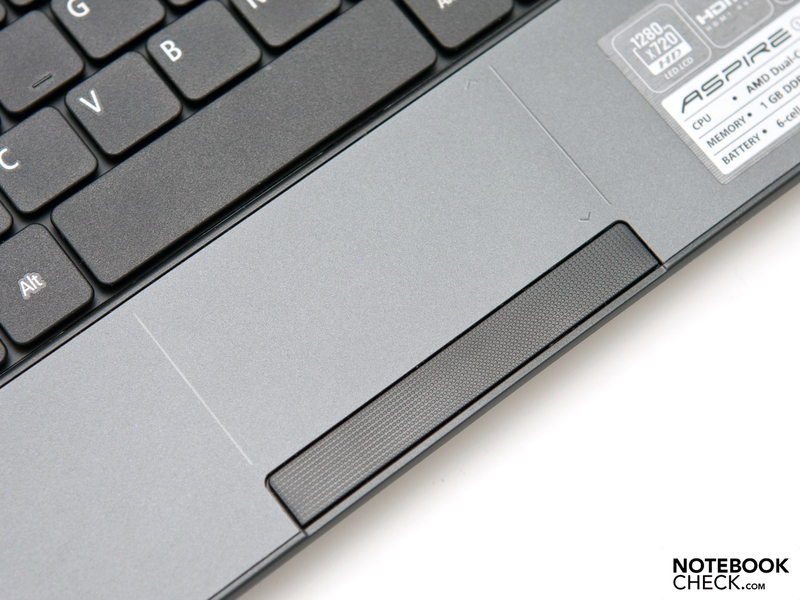 In order to compare the performance, we sent the netbook through our comprehensive test course. The high performance profile was enabled and all energy saving functions was disabled throughout the tests. However, the components weren't overclocked during the test routine.The CPU performance in Cinebench R10's multi core rendering (32bit) is a bit above the Toshiba NB550D's level with 1294 points. The Intel Atom N550 is at an performance advantage in this as well as other CPU benchmarks. Indications for this are, for example, the different architecture, the higher clock rate of 500 MHz and the support of Hyper Threading (HT) technology. 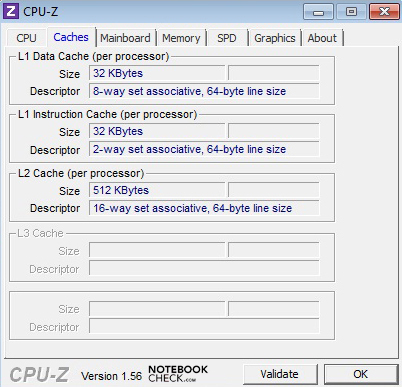 This provides the N550 two additional, virtual computing cores. 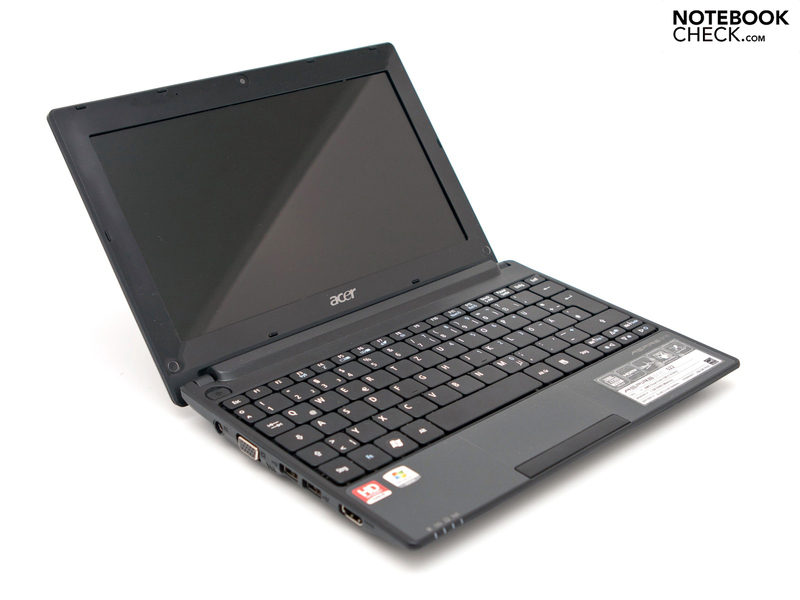 Comparable devices with an Intel CPU are the Acer Aspire One D255 and the new Samsung NC210 netbook. The PCMark Vanatage benchmark from Futuremark rates the entire configuration and doesn't only restrict itself to one test field. Our test device is in the lower third in our data base with a total score of 1363 points. 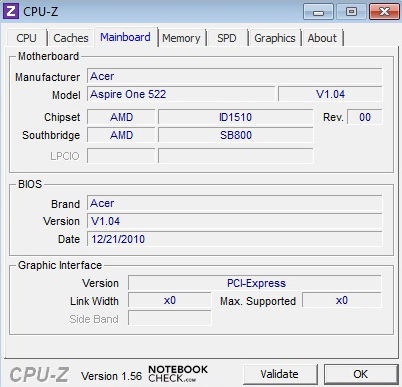 The Asus Eee PC 1015T with an AMD V105 CPU and AMD Radeon HD 4250 graphics, or the Lenovo ThinkPad X100e with an AMD MV-40 single core processor, are on the same level. Current entry level netbooks with an Intel Atom N550 offer a throughout superior total result. 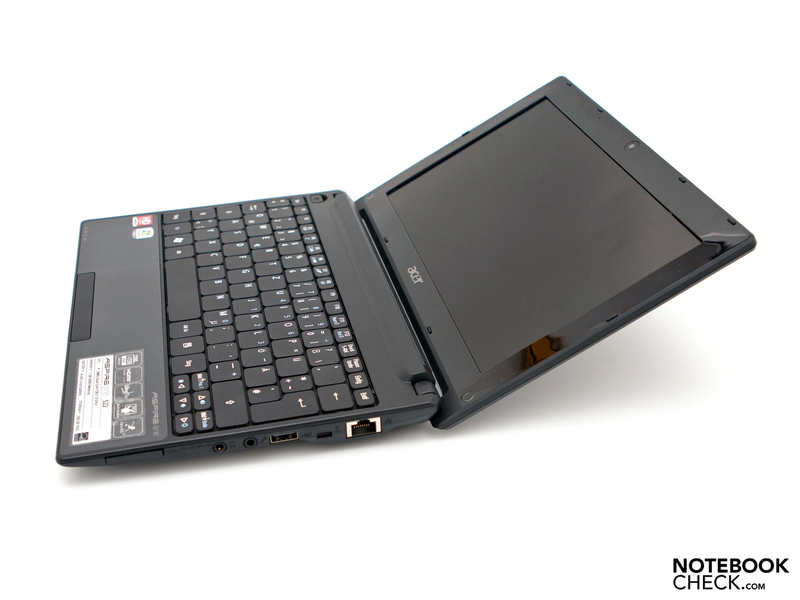 An example would be the Samsung NF310-A01DE netbook with a total score of 1671 points. 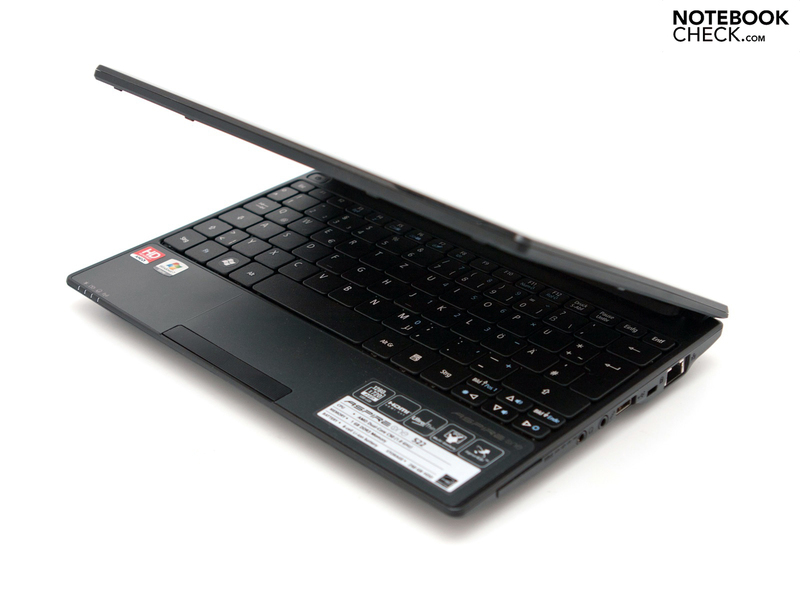 The subjective impression isn't convincing due to a 1 GB RAM in the basic configuration, alike in Toshiba's NB550D. Opening windows is slow and the boot times aren't credible, either. It runs a bit smoother as soon as the system is equipped with a 2 or 4 GB RAM. However, only a solid state drive (SSD) provides a noticeable performance difference. The AMD Radeon HD 6250 graphics unit provides good results in the synthetic gaming benchmarks – for a netbook. The device achieves a total of 1480 points and lags only slightly behind the incorporated Intel GMA HD Graphics in an Intel Core i3-330M. Devices with an Intel GMA 3150 (N550) remain defeated at the end of our list. 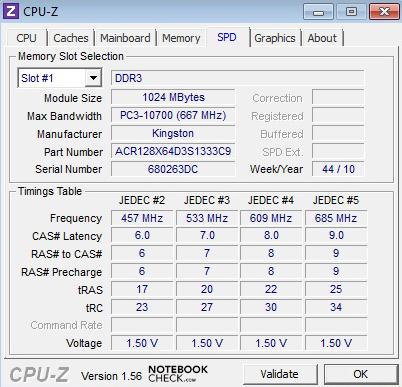 The Asus Eee PC 1015PEM only achieves weak 147 points. However, a look at our review of the Toshiba NB550D shows that the pure gaming performance isn't outstanding and that the device isn't suitable for gaming. The MMORPG, World of Warcraft, no longer runs smoothly in medium pre-settings. Only simple games can be played smoothly in minimum pre-settings, which often only provide little gaming fun. A 2.5 inch hard disk from Toshiba is found underneath the keyboard. It's labeled as MK2565GSX and bids a gross capacity of 250 at 5400 revolutions per minute. The transfer rates are average. 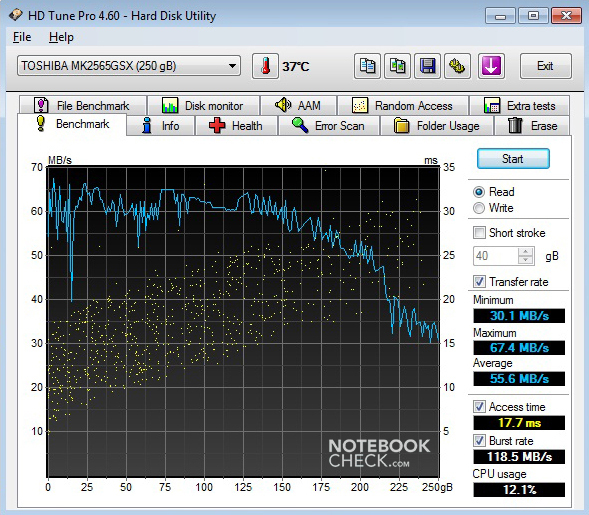 HDTune Pro and CrystalDiskMark determine a maximum of 67.4, respectively 63.98 MBs per second (sequential read). However, the bottleneck turns out to be the average access rate of 17.7 milliseconds. A cutting edge solid state drive (SSD) solves this problem, but currently also costs considerably more per GB. Any 2.5 inch disk with a construction height of 9.5 can be retrofitted. The Toshiba NB550D could previously prove the HD rendering possibilities. Local video rendering of a video with H.264 coding is no problem for the new AMD C-50 APU, including the AMD Radeon HD 6250 graphics unit, up to a resolution of 1920x1080 pixels (FullHD, 1080p). 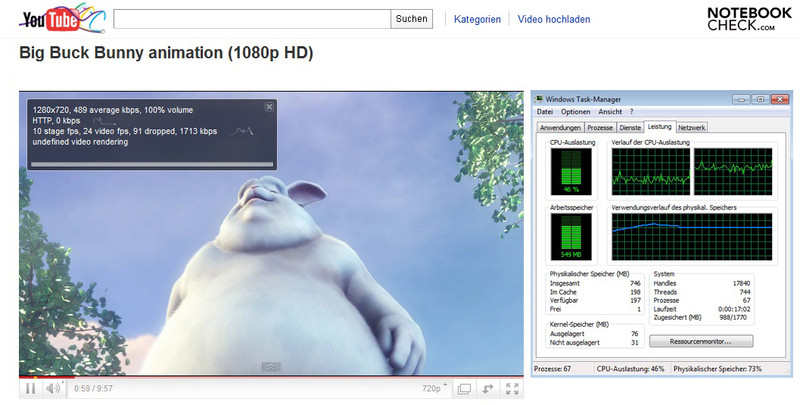 Playing "Big Buck Bunny" as a flash video runs smoothly on the Acer Aspire One 522 up to a resolution of 1280x720 pixels. Rendering makes a slow impression in 1080p (1920x1080 pixels) in the basic configuration with a 1 GB RAM. The average frame rate is only 16 frames per second. A fan with connected cooling element, placed directly on the AMD APU, is responsible for its cooling. We could determine a noise level of 31.7 up to 32.1 dB(A) in idle, whereas the permanently running fan has to be rated as a drawback. Thus, it doesn't allow a silent use. The integrated memory medium remains discreetly in the background. The rates increase during load, but are throughout acceptable with a maximum rate of 35.5 dB(A). Working isn't deterred by this. The permanently rotating fan provides a cool case in idle mode. There's no reason for complaint with a maximum of 29.6 on the bottom and 24.8 degrees Celsius on the top. Areas significant for ergonomics stay cool. The case bottom's temperatures increase under load and surpass 40 degrees in the APU's vicinity. One reason for this is the minimalistic fan outlets that apparently trap air. The APU reaches between 82 and 90 degrees Celsius in this scenario. (+) The maximum temperature on the upper side is 32.3 °C / 90 F, compared to the average of 33 °C / 91 F, ranging from 21.6 to 53.2 °C for the class Netbook. (+) In idle usage, the average temperature for the upper side is 22.6 °C / 73 F, compared to the device average of 29.8 °C / 86 F.
A small mono speaker on the wrist-rest's left bottom takes care of sound output. The higher pitches are rendered fairly well. Nevertheless, the low pitches and basses can also be heard. Moreover, the lopsided sound emission is annoying. The maximum volume makes a good impression and appears to be adequate. Solely Toshiba has been able to release netbooks with good loudspeakers onto the market with the devices NB520 and NB550D. External speakers, headphones or the home movie system can be connected to either the 3.5 mm stereo jack or the more modern HDMI out for a better sound. Subjectively, both ports were viable and we couldn't determine static or crackling during audio rendering. 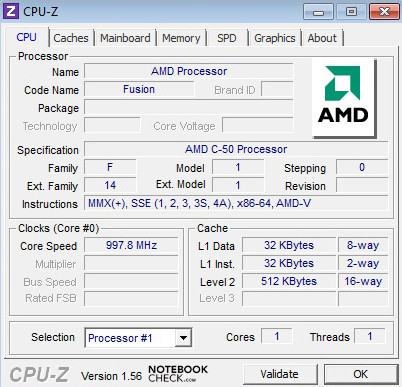 The AMD C-50 APU has a low power loss (TDP) of 9 watts despite the fairly strong graphics unit. Our test netbook consumed between 8.9 and 12.2 watts in idle. A peak rate of 22.2 watts is used in load. The Toshiba NB550D consumes about 2 watts less during load. 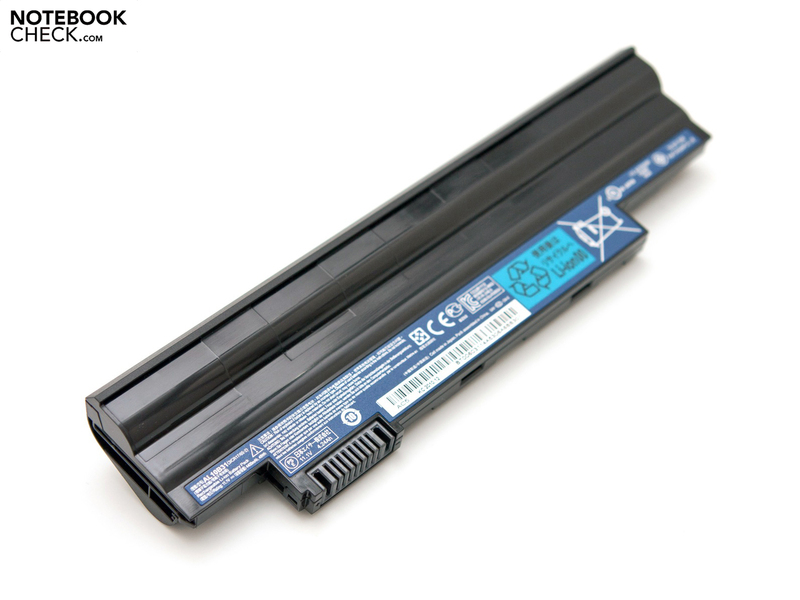 The Acer Aspire One 522's increased consumption also has an impact on the battery life, in connection with the smaller 6 cell battery. The standard battery only supplies 49 watt hours and is thus within the broad average for netbooks in this price range. Toshiba's device is an exception with 61 watt hours. 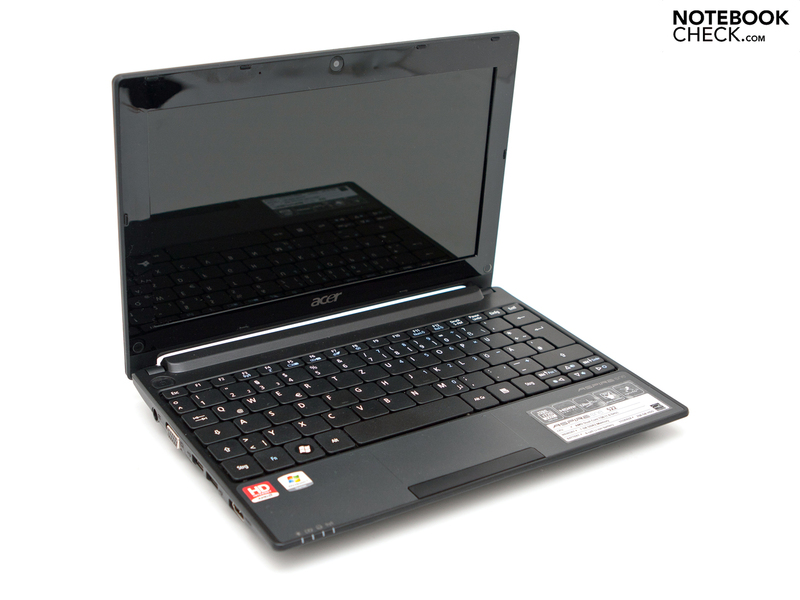 Netbooks that have an Intel Atom N550 CPU, such as the Asus Eee PC 1015PEM, also don't consume as much energy. We determined the battery life in Windows 7 with the "BatteryEater" tool. The Classic Test loads the HDD in addition to CPU and GPU. 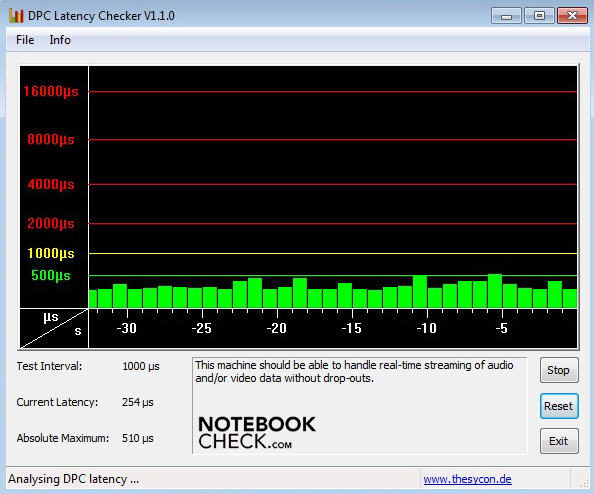 Thus, it is executed with enabled WLAN module and in Windows' high performance profile (load test). A full load is drained after a fairly short 201 minutes (3 hours and 21 minutes) and the minimum battery life is determined. The assessment "surfing via WLAN" comes closest to routine use. 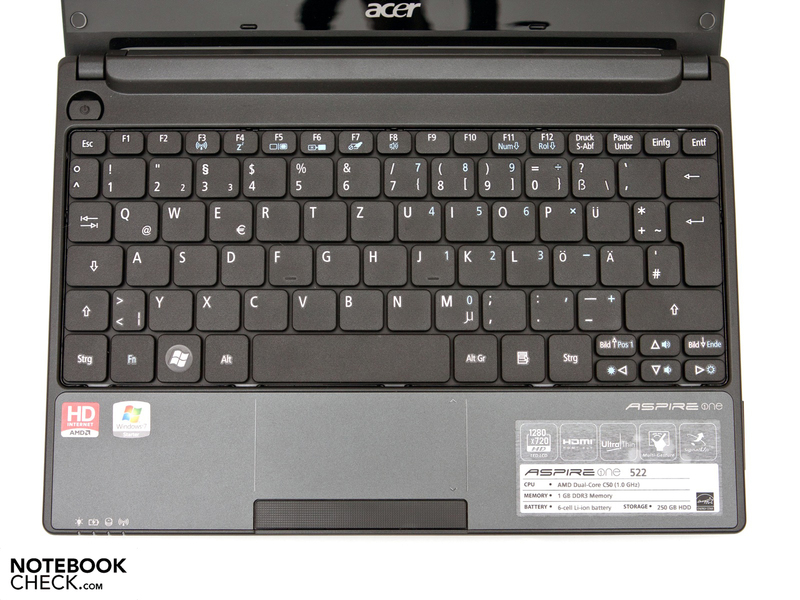 The Acer Aspire One 522 only accomplishes 4 hours and 53 minutes with pleasant display brightness. The Toshiba NB550D can offer almost 9 hours due to the 61 Wh battery. 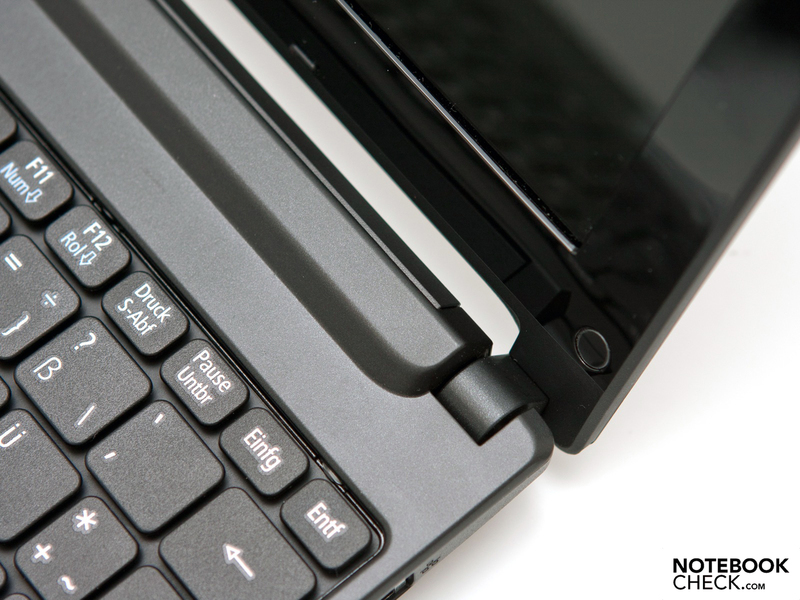 One battery charge suffices for 6 hours and 48 minutes in the Eee PC 1015PEM with an Intel Atom N550. The 522's weak points are likely the 49 watt hour battery and the display with a higher resolution. 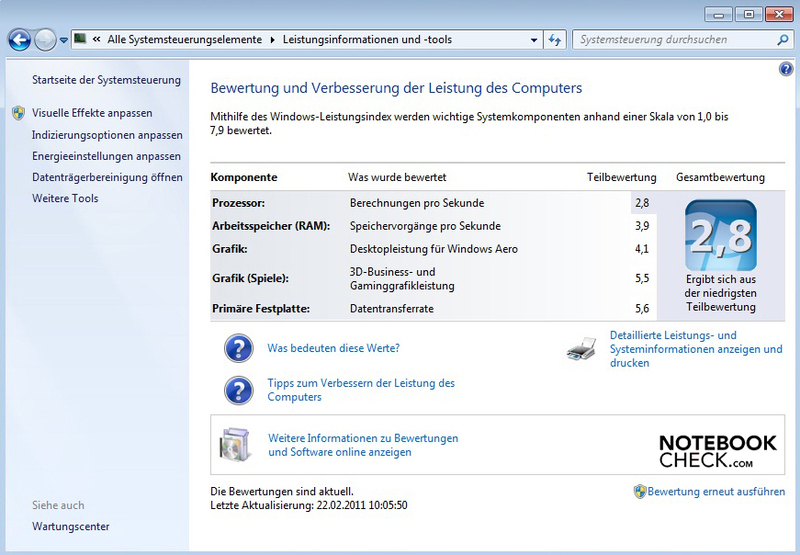 BatteryEater's Reader's Test allows assessing the maximum possible battery life in Windows. 6 hours and 37 minutes are possible with minimum brightness, disabled WLAN and all energy savings options. The power storage unit needed a bit more than 3 hours for a full recharge after this test. 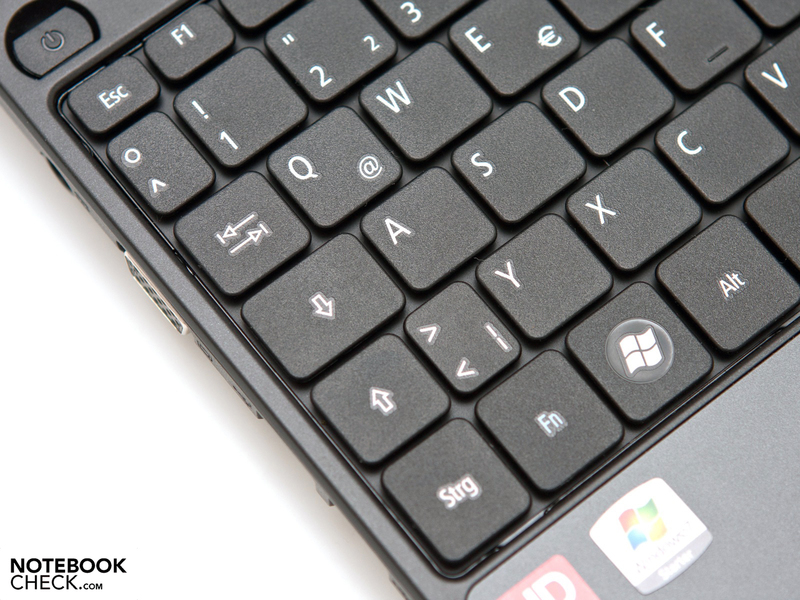 We would have basically expected a better image in this field from a netbook with this hardware. A possibility would be increasing the battery capacity, or an optionally available high performance battery. The Acer Aspire One 522 leaves us with mixed feelings. The familiar case, the input devices and the amount of interfaces, including HDMI and a multi cardreader are convincing. The sparse scope of delivery and warranty of only 12 months ex-factory are the first points of complaint. 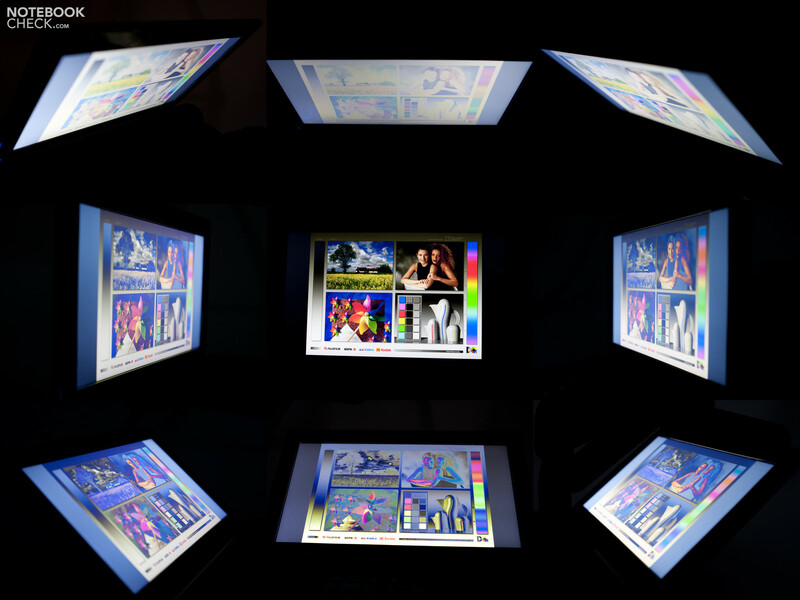 The HD display with a resolution of 1280x720 pixels bids advantages since more content can be displayed. The glossy surfaces and average rates dim the fun. The AMD C-50 APU's performance, together with a 1 GB RAM, is only partly convincing. 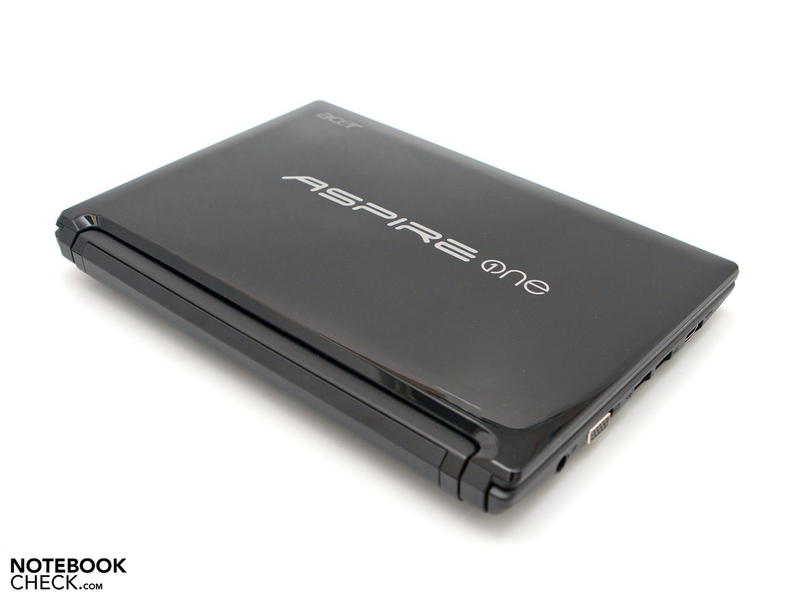 The Aspire One 522's biggest advantage is likely the smooth HD playback (up to 720p as flash video). When you've tackled the difficult way via the keyboard, upgrading is also a plus point. However, retrofitting a 3G UMTS module isn't possible. The quiet fan is an upside, although it runs permanently. Other reasons for complaint are the small fan outlets and the weak mono loudspeaker. The battery life is good, but devices with a larger battery capacity have a clear advantage. We can say that Acer places another device on the market that can separate itself from available devices with its HD display, HDMI out and new AMD hardware, in view of this summary. 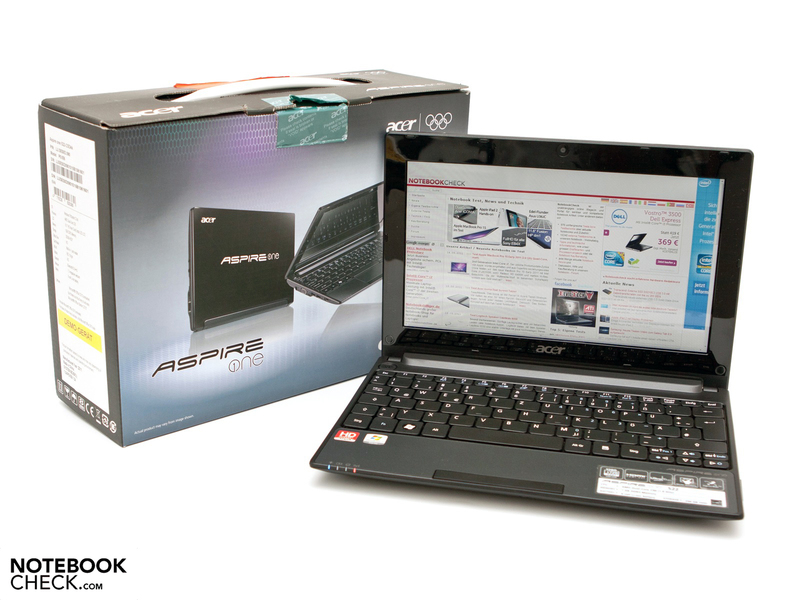 It is on par with Intel's counterpart, Acer Aspire One D255, at a recommended price of 299 euros. You are still spoilt for choice. The small hinges bid a firm grip with teetering. and a few screws beneath it have to be removed. Opening the maintenance cover fast isn't possible. The RAM is limited to 2 GBs by Windows 7 Starter. A 250 GB hard disk memory are installed ex-factory. The system's heart is found directly beside the fan. The 6 cell battery (li-ion) bids the usual 49 watt hours. a clear pressure point and a generous layout. the HDMI out (version 1.3) for HD video and audio materials are convincing offers. C-50 dual core APU and AMD Radeon 6250 GPU. 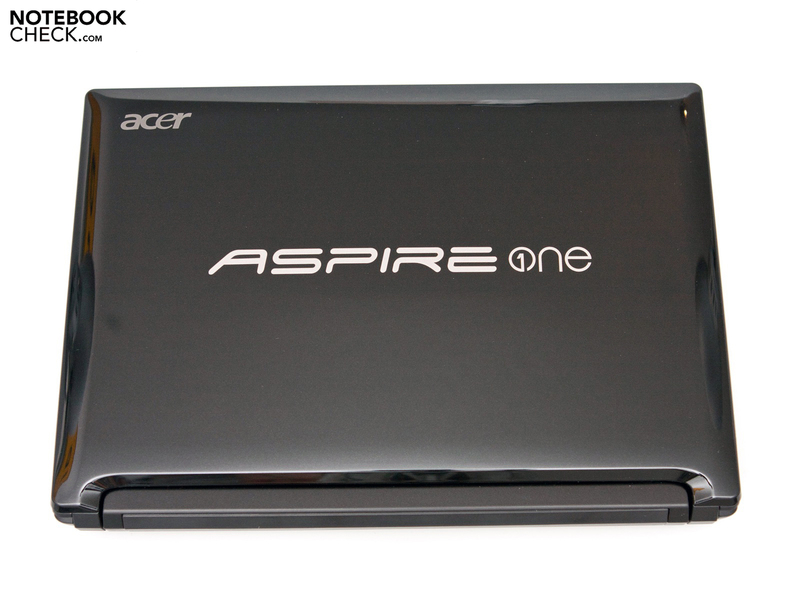 the Aspire One D255 with an Intel Atom N550 looks identical. fingerprints, dust and scratches magically. The power button is illuminated in stylish blue. 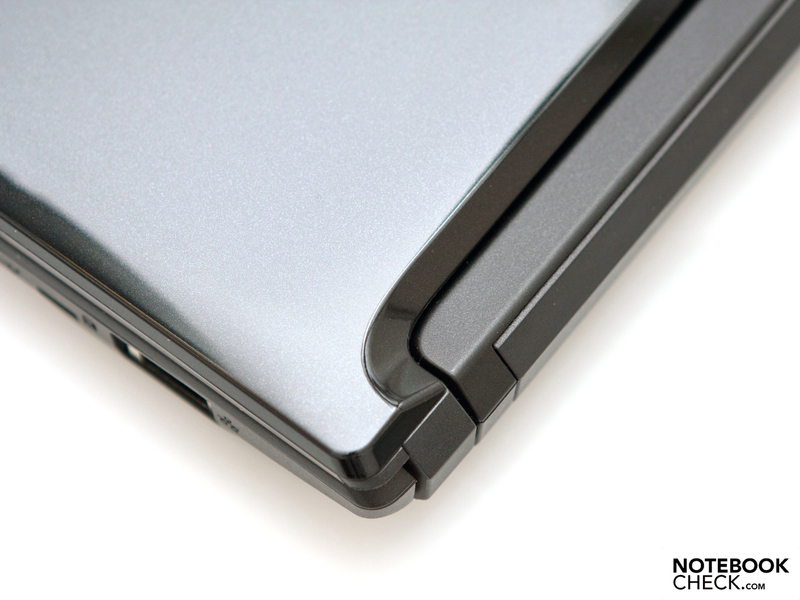 The notch in the battery part loosens up the design. The mono loudspeakers supplies the usual poor sound. The adapter's plug system is convincing. The still elegant, albeit susceptible, case, the new AMD C-50 APU and the display's native resolution of 1280x720 pixels. A better office performance, respectively a 2 GB RAM ex-factory, a larger scope of delivery and a longer warranty period (24 months). The comparatively short battery life of 6 hours and 37 minutes in idle. It's only about 5 hours in routine use. For example: the Acer Aspire One D255 with an Intel Atom N550 from the own range, the Toshiba NB550D with almost identical hardware configuration and the Samsung NF310 with a matt HD range.